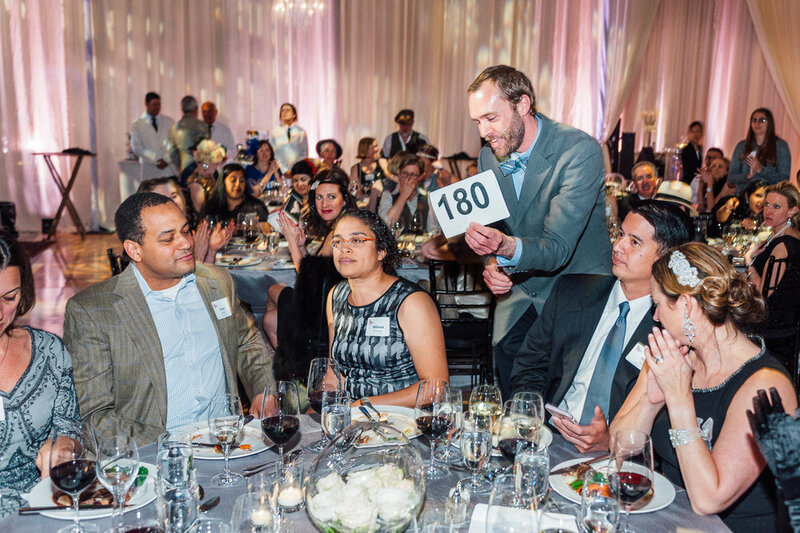 It’s that time of year when we have an opportunity to look back on the last academic cycle and reflect upon the many wonderful ways that our community demonstrated generous support for the people and programs that define Head-Royce School. 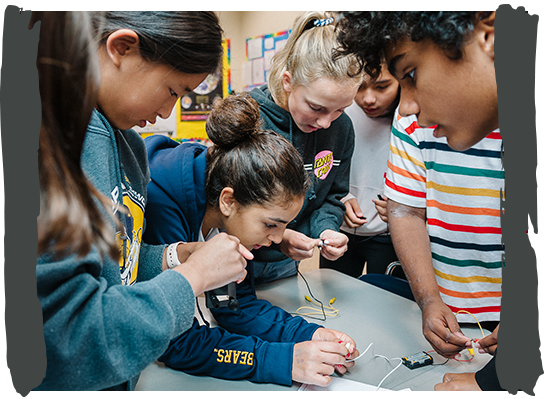 For over 130 years, Head-Royce has been a beacon of academic excellence in the East Bay, with mission-driven programs, top-notch facilities, and a truly spectacular faculty all made possible through the ongoing support of our parents, alumni, past parents, employees, grandparents, and friends. Thank you for taking an active role in helping us to offer an unparalleled experience to our students. In the 2017-2018 school year, our community sustained a momentous level of giving, contributing over $1.8 million to benefit our programs, faculty, financial aid, and Heads Up. 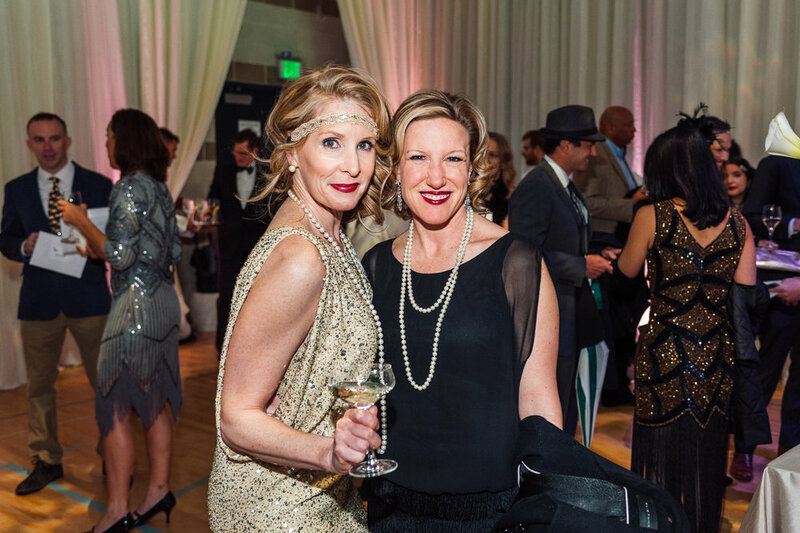 The speakeasy-themed Parents’ Association auction, Flappers’ Fete, was a fun-filled night that raised critical funds for the Heads Up program and the much-needed remodel of the locker rooms. There are a myriad of ways that volunteers stepped up to lend valuable support to the everyday workings of our school, from classroom activities and the All-School Fair to admissions and advancement efforts. Your support truly enables us to stay on the cutting edge of teaching and learning and bring the goals of our Strategic Plan to life in meaningful ways. Thank you for partnering with us to make Head-Royce a transformative home for your child’s learning and self-discovery each day. We couldn’t do it without you! As of June 30, 2018 the value of the Head-Royce endowment was $20,138,839, which reflects an overall increase in the market value of 3.3% over the previous year. 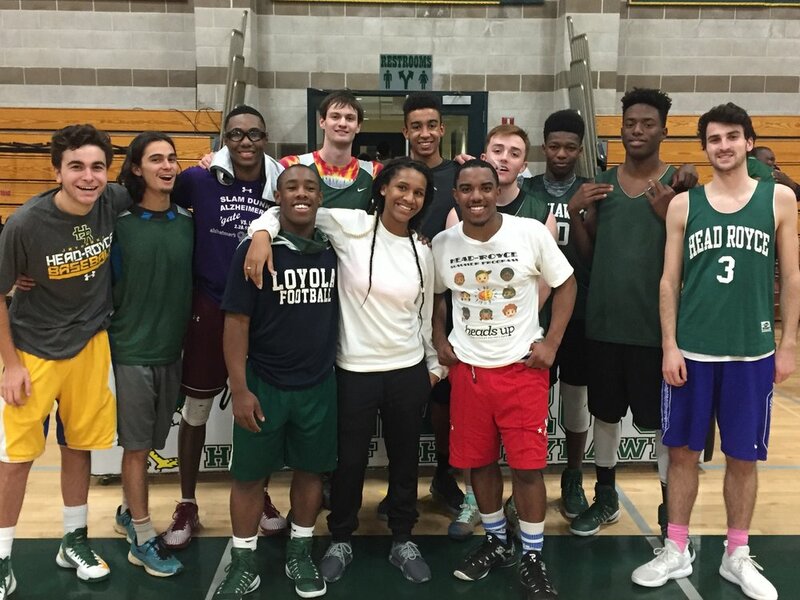 Your philanthropy is foundational to Head-Royce School. In the 2017-2018 school year, once again you joined together in record-setting support of our school - whether you are a Head-Royce parent, Trustee, alumna/us, employee, grandparent, parent of alumni or friend, your gift makes a huge difference here at Head-Royce. Through gifts to the Annual Fund, Endowment, bequests, Heads Up or the Auction, your generosity maintains our standard of excellence and is essential to the depth of programming and resources we are able to offer our students. You helped us break a new barrier in Annual Giving, surpassing over $1.5 Million in donations to directly support the student experience and our endowment has grown to an all-time high, exceeding $20 Million. Collectively these funds ensure the strength and vibrancy of Head-Royce for today's students and for generations of students to come. Thank you for supporting Head-Royce! It was our pleasure to serve as this year’s Annual Fund Co Chairs. Thanks to the outpouring of support from our community the 2017-18 Annual Fund was incredibly successful, raising $1,527,913 to support our students, faculty and programs! Unrestricted, flexible Annual Fund dollars support everything from competitive salaries and benefits for our faculty to student scholarships, innovative curriculum, the arts, and athletics. Your support allows us to provide an exemplary educational experience for all students and we are deeply grateful to you for making Head-Royce a philanthropic priority. 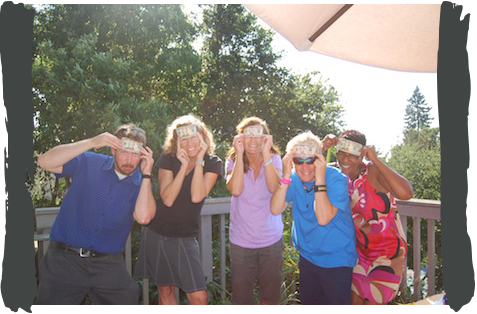 We are incredibly fortunate to have a community of parents who enthusiastically support the Annual Fund. With the help of our Annual Fund volunteer team, over 85% of current parents generously participated in the 2017-18 Annual Fund, donating $1,050,762, 69% of all dollars raised! We are deeply grateful for your commitment to our students and teachers - thank you. Grandparents, past parents, and friends are an important and vibrant part of our community. Family is at the core of our community, and we are grateful to the over 200 of you who demonstrated your commitment to our students by making an Annual Fund contribution. Collectively, you donated $92,545 and made a deep impact on the Head-Royce community. The Professional Community is one of the hallmarks of the Head-Royce community, nurturing our students from Kindergarten to 12th grade and instilling in them a lifelong love of learning. Thank you for once again enthusiastically supporting the Annual Fund! Over 95% of the professional community participated by making a gift to the Annual Fund. Special thanks to Will Adams, Jen Brakeman, Peytra Redfield, Nicole Bowler, and Deirdre Williams ‘80, for chairing the Professional Community “Share the Love” Annual Fund campaign. We are members of the Anna & Josiah Royce Planned Giving Society because we believe in the place Head-Royce has had and will have in our community. Our family has been involved in some aspect of the Anna Head School nearly since its inception. March 30, 2018 - 30 alumni came back to campus to speak with upper school students about their careers, lives and journeys from student to adulthood. April 27 & 28, 2018 - Over 230 guests attended the 2-day Alumni Weekend & Reunion festivities, including alumni from 1943 to 2014, their families, as well as many current and former faculty. Thanks to your support the Parents’ Association fulfilled its goals of building community, supporting the school's mission, and enriching the HRS experience for students and their families. With your generosity, the Spring 2018 fundraiser, Flappers’ Fete, was a tremendous success and allowed the PA to make meaningful contributions to support the strategic plan and the HRS community. Proceeds from the auction were invested in funding the remodel of the Locker Room (to be completed in August 2019!) and the Heads Up program, in celebration of its 30-year anniversary. Flappers’ Fete was an amazing evening that highlighted our community, all to benefit Head-Royce! 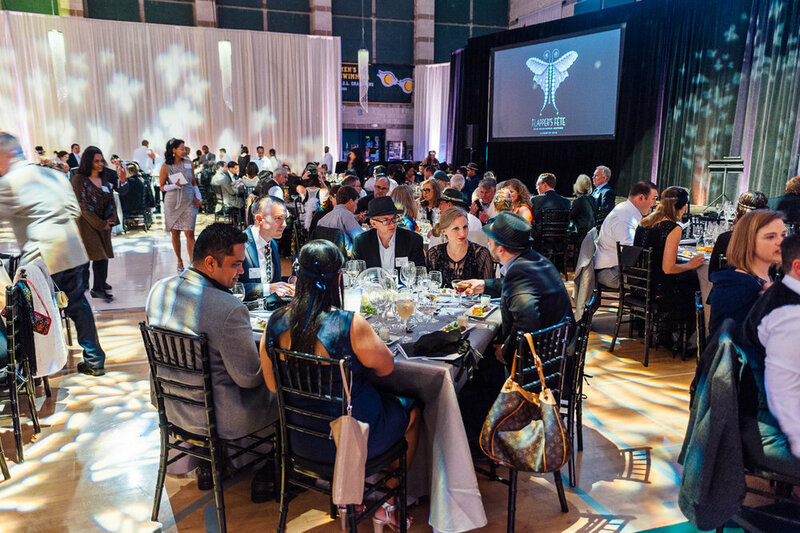 The gym was transformed into a swank 1920s speakeasy, complete with a champagne tower and live band. 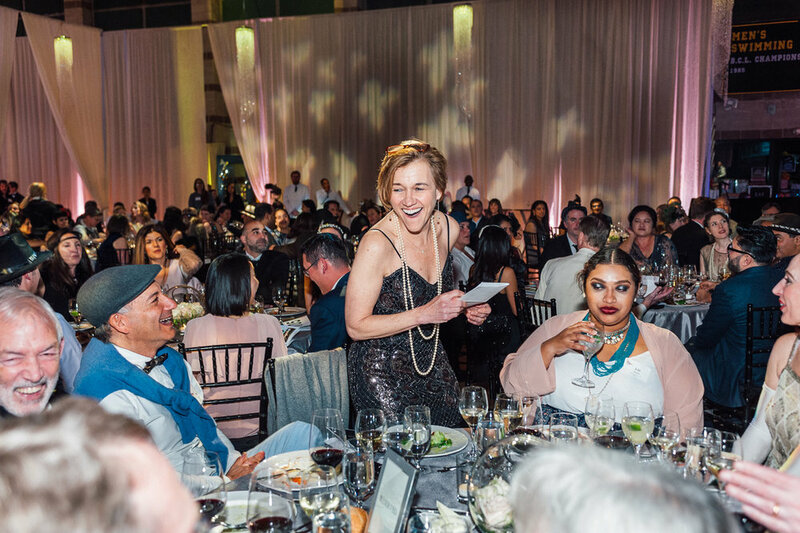 We are deeply grateful to the event committee and the generous contributions our community made, whether it was in the form of live, silent, or online auction items, a paddles up for the Heads Up program, or a bottle of wine for the cellar, we could not have done it without you! Over 120 Heads Up students thrived during the 2017-18 school year! 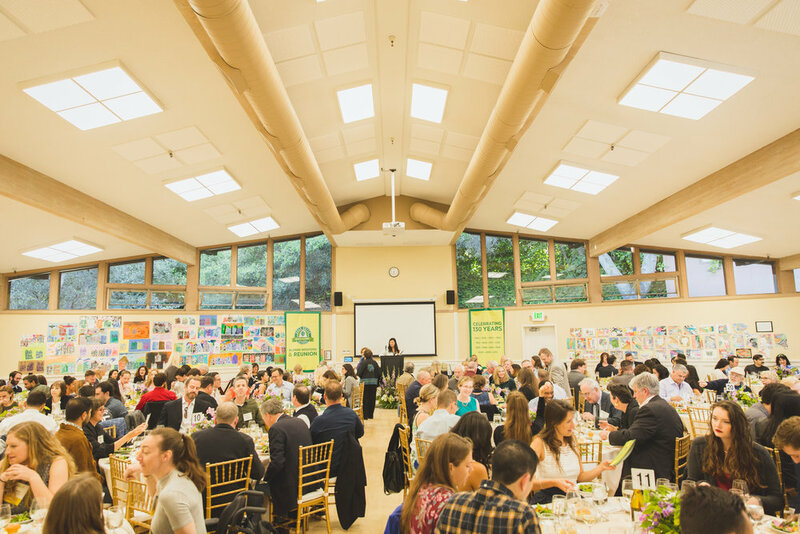 Serving low-income Oakland public school students, the Heads Up Program was established in 1987 to provide an educational program focused on developing academic success and an appreciation for community and civic engagement. With a cost of approximately $3,000 per student, this program would not be possible without the generous support of our community. Thank you for investing in these bright young students. More than one thousand students have successfully completed the program and have gone on to attend academically challenging high schools and colleges - including prestigious universities such as Yale. No matter the journey students take after graduating from Heads Up, their connection to the program remains, and the bonds and experiences they share become deeply embedded in their personal narratives. Graduates of Head-Royce's Heads Up Program talk about their experiences and how Heads Up helped to shape their futures. 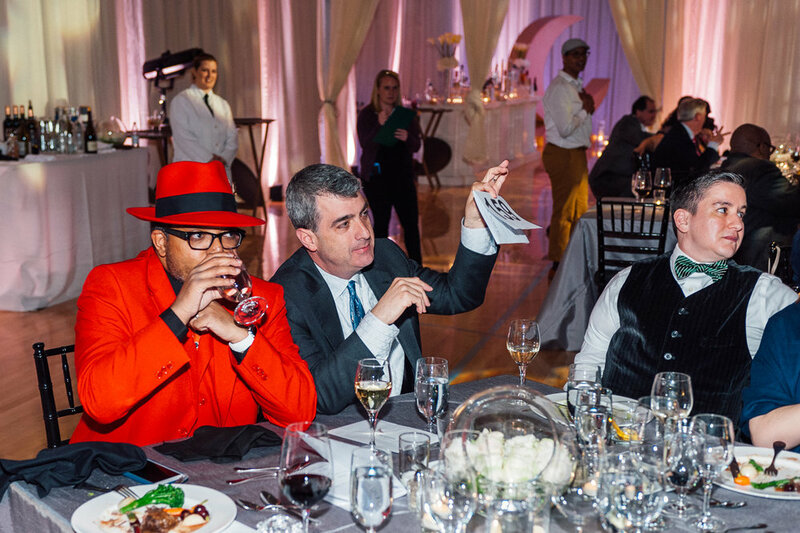 This year marked a pivotal year for Nia as we celebrated the 15th installment of the Speaker Series with an amazing event and interactive fundraising effort. Glenn Singleton captivated the audience with a riveting discussion on Courageous Conversations about Race. He shared the importance of engaging in the conversation, sustaining the conversation even when it gets difficult and deepening the conversation to have authentic and meaningful change. These are essential to impacting the educational experience, deinstitutionalizing racism and achieving equity for students. He further shared the courageous conversation compass that he developed as a tool to navigate people through conversations about race. He challenged the audience to identify how each of us, individually, deal with racial information or events: emotionally, intellectually, morally or relationally. As we reflected on that, he also showed compelling advertisements for major companies he is working where race was exhibited in a manner that celebrated diversity and presented a powerful message about inclusion. Once again, the Nia event evoked thought and encouraged us all to talk about race, even if difficult, as it will benefit us all to have better understanding of each other. This event marked another spectacular celebration of Black History Month.